The session was informational. But a City developed connectivity is difficult. Areas such as The Howell Branch Peserve and the Ward/Showalter complexes are accessible only by cars. Beware of Land Trust. It sounds good on the surface, but I fear it may only encourage development of existing City park lands and other City green space. Those Land Trust organizers would be wise to negotiate deed restrictions on all existing City owned green space, prior to beginning any fundraising for more land purchases. Otherwise, it’s potentially like pouring money into your pocket, only your pocket has a hole in it. There is never any more. Only the same (if you are lucky). This City Commission hates green space. If every square inch was developed they’d be very happy. Land Trust only distracts from the real problem which is Commissioners have the authority to develop or sell existing City green space. retail establishments, over Aloma, 17-92, Lee Road, Fairbanks. Pedestrian overpasses are a very common method for safely moving pedestrians through out the “third world” of Mexico. Less costly to operate than stopping traffic for pedestrians and safer. Surely, this great community of Winter Park can find a way to put people over vehicles. YES! WP needs more raised crosswalks to slow cut-through traffic similar to those on cut-through roads throughout Orlando. Too many WP residents have been killed while trying to cross streets. A dear friend from the Crosby YMCA was killed while crossing Aloma (not at the traffic light) when it was raining to her neighborhood (the one behind Sprouts). We need raised crosswalks with signs “STOP for pedestrians” at the new Crosby and Ward Park, and pedestrian overpasses throughout the city, especially on Aloma, Fairbanks, Lakemont, 17-92, Lee Road, and Howell Branch Road for WP and Maitland pedestrians and cyclists. 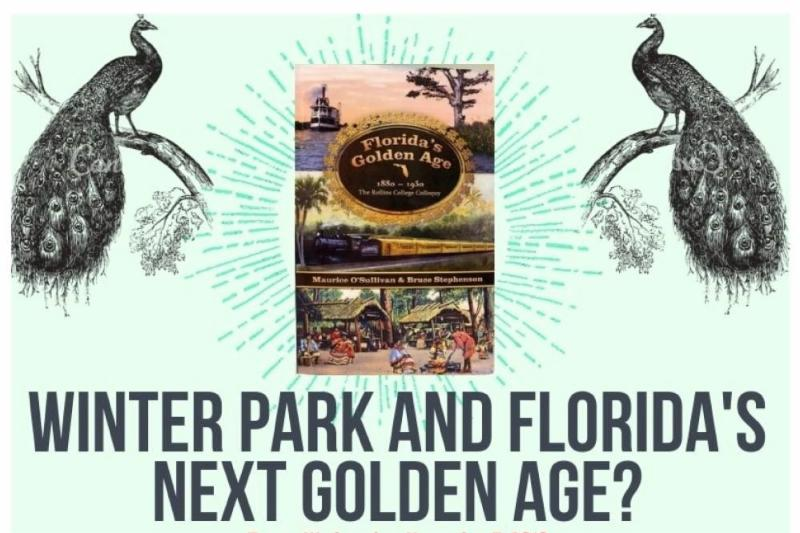 When the large consortium of Winter Park citizens bought the Winter Park Magazine, many felt it was a sell out. The fear was that the magazine would become politicized. Check out the recent article on Rollins in the latest edition to see that all doubts on this score have been resolved. Keen wants to pave the way for a Rollins expansion and give political cover to the commissioners who give Rollins carte blanche going forward. Artwork on the cover is still pretty. 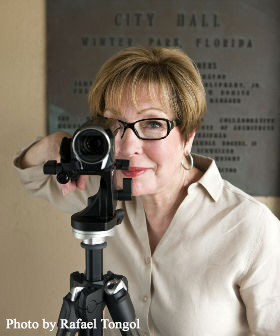 I rarely engage with people who post anonymously, but there are more than 40 non-employee investors in Winter Park Publishing, each holding a very small ownership interest. Some are involved in development and others could be described as wary of development. What they have in common is that they like the magazine. You fixated on one name, but among many other community investors is Steve Goldman, who was on the panel to which this story refers — and is one of the city’s most important advocates of expanded greenspace. We have a story about him and his land trust initiative in the upcoming issue. As to the Rollins story, if you have read the magazine for any length of time, you know that we ran a similar piece in 2015 in part to dispel the mistaken notion (which has been repeated on the Voice Facebook page) that the college pays no property taxes.Any questions or suggestions about content can be addressed directly to me — I am open to ideas and, most importantly, you know you who I am and how to reach me. The issue is somewhat complex as you know. Whether or not Rollins pays any property taxes is not the sole issue This conversation will be ongoing for some time to come as land becomes scarce and Rollins seeks to expand into other areas within the city. The relationship between the city and the college is symbiotic but there must be balance. And that balance must be equitable. You may not agree with anyone who suggests that the magazine may be influenced by the ownership group. Time alone will establish whether or not there is merit to that suggestion. Time and time alone.